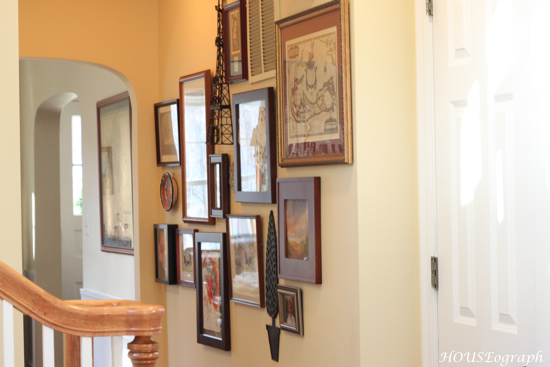 One of my favorite spaces in our house is the little hall between our kitchen and dining room. This used to be a space I would walk into and through many times a day without thinking. Ever since we put in our gallery wall, I love walking through there. Here's how it looked when I first put it up. Since then, I've added several pieces that I have either received or found in other parts of the house. 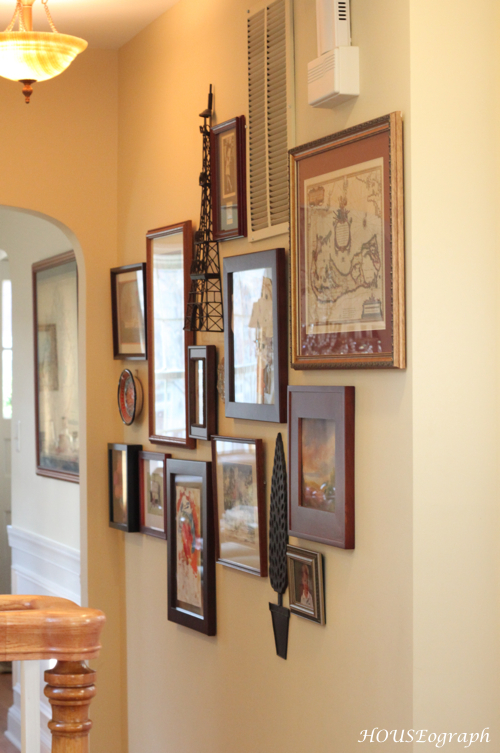 I like my gallery walls to be "crowded" - not leaving the items and pictures much room to breathe. I want the wall to stand together. 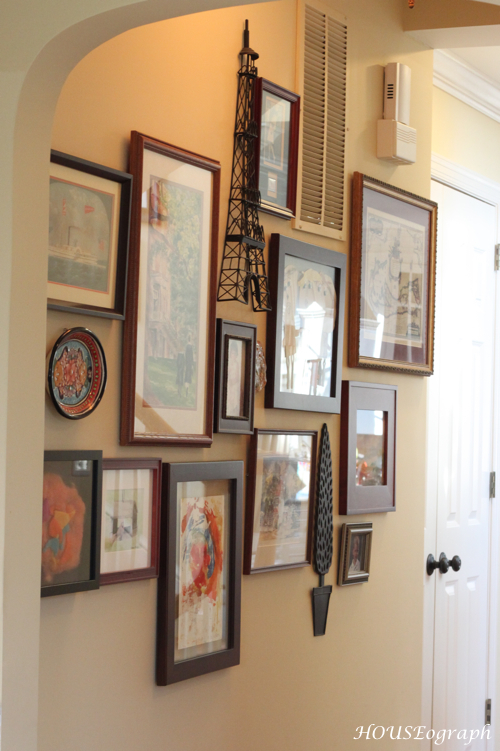 I love the mix of frames on this wall particularly, although there are a few things I'll move as I gather more favorites. The art now includes some works by Alex (my 3 year old) including the felt piece on the bottom left and the clay ornament hanging under the Eiffel Tower. He is not yet into art all that much (although he is so proud of what he does do), so I have to encourage him any way I can. My friends ask me how I hang the pictures. I generally say "Just hang them. If I end up with an extra hole or two, I hope it's covered by something before Handy Hubby gets home!" Any gallery wall lovers or haters out there? Picture hanging tips?